The changes to the rules are expected to particularly affect younger people, who are more likely to consume content on smartphones or tablets than via traditional television sets. TV Licensing has already begun making students more aware of the changes, many of whom will be affected at the start of the new academic year. It says that "in limited circumstances", students can be covered by the licence at their parents' address and advises them to check its website for more details. Licences cover a household, rather than an individual. 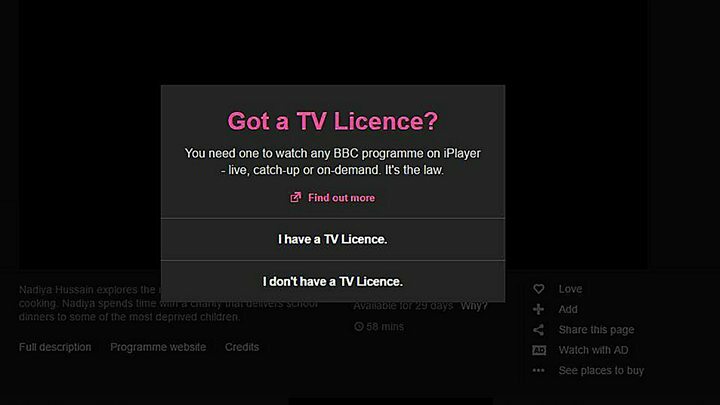 Viewers are now prompted to declare if they have a TV licence when they try to watch any content on iPlayer. A BBC spokesperson said: "At present, a pop-up window appears asking viewers to confirm they've got a TV licence when they click to play live BBC content on iPlayer, and from today, that will update to include on-demand BBC programmes on iPlayer. "The vast majority of households - around 94% - are already licensed so this change will not affect them. You still need a licence to watch or record live TV on any channel." It is unclear exactly how the new rules will be enforced. A TV Licensing spokesperson said: "We are not going to use mass surveillance techniques, we are not going to ask internet providers for IP addresses, and in fact, we will simply use existing enforcement processes and techniques which we believe to be adequate and appropriate. "Our current procedures enable us to catch those watching on devices other than televisions." It is understood that TV Licensing currently uses technology, letters and visits to unlicensed households to check whether households have a licence and enforce the law. The government's White Paper asked the BBC to consider the cost and feasibility of a verification or sign-in system for iPlayer. Media captionHow will TV Licence iPlayer rules be enforced? Damian Collins, acting chair of the House of Commons Culture, Media and Sport Select Committee, told the BBC he was not certain how the new rules would be enforced. He told Radio 4's Today programme: "The BBC haven't set that out and this is undoubtedly something we'll ask the director general about the next time he's in front of the committee. "A good way around this could be having a pin number to access iPlayer and online services. "There's been talk about having a system so you could access iPlayer from abroad. I think this could open up not just a better service for BBC viewers and customers but also additional revenue for the BBC in the future as well." The change comes after the government said it wanted to modernise the current system, so those watching catch-up TV do not get "a free ride". 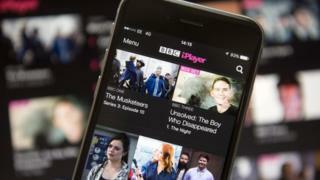 The new rules apply to all devices used to access iPlayer - including laptops, smartphones, tablets, TV streaming devices and games consoles, as well as through third-party services such as Sky, Virgin or BT. A licence is not needed to watch S4C on iPlayer or to listen to BBC radio programmes.